Our stylish canvas pencil wrap has individual compartments to hold and protect up to 30 full size pencils and accessories. The wrap unrolls flat for easy access to the contents and when you are ready to move on, you just roll it up again. Our stylish canvas pencil wrap has individual compartments to hold and protect up to 30 full size pencils and accessories. 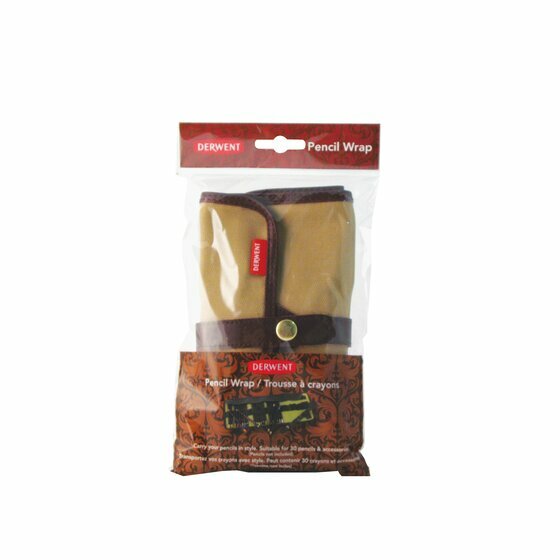 The wrap unrolls flat for easy access to the contents and when you are ready to move on, you just roll it up again. It is quite simply a must-have when you’re out and about.